nLIGHT Launches 400W Passively-Cooled Semiconductor Laser | nLIGHT, Inc.
VANCOUVER, Wash., Jan. 29, 2019 (GLOBE NEWSWIRE) -- nLIGHT®, Inc. (NASDAQ: LASR), a global leader in semiconductor and industrial fiber lasers, today announced the introduction of the element® e24i, a 400W fiber-coupled package small enough to fit in the palm of your hand. This revolutionary power density makes the element e24i the optimal diode for high-power laser systems. The new nLIGHT element e24i delivers up to 400 W in a form factor small enough to hold in the palm of your hand. The new nLIGHT element e24i delivers 400 W of power output in a package small enough to hold in the palm of your hand. 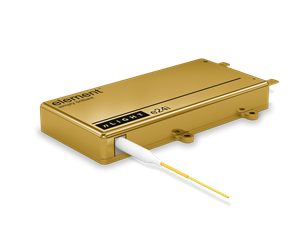 The element e24i greatly simplifies system architectures of direct diode, solid-state, and fiber lasers for industrial, microfabrication, and defense applications. It delivers an impressive 400W of output power at 915nm or 375W at 976nm from a 200µm fiber. “nLIGHT is committed to enabling our customers with differentiated products that further their growth and competitive advantage,” adds O’Connor. The introduction of the element e24i continues nLIGHT’s leadership in high power laser innovation. 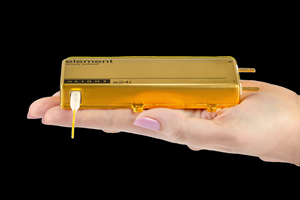 See the nLIGHT element e24i at Photonics West, February 5 – 7 in San Francisco, California. Learn more about the element e24i. nLIGHT is a leading provider of high power semiconductor and fiber lasers for industrial, microfabrication, aerospace and defense applications. Our lasers are changing not only the way things are made but also the things that can be made. Headquartered in Vancouver, Wash., nLIGHT employs over 1,000 people with operations in the U.S., China and Finland. Learn more about nLIGHT at www.nlight.net.